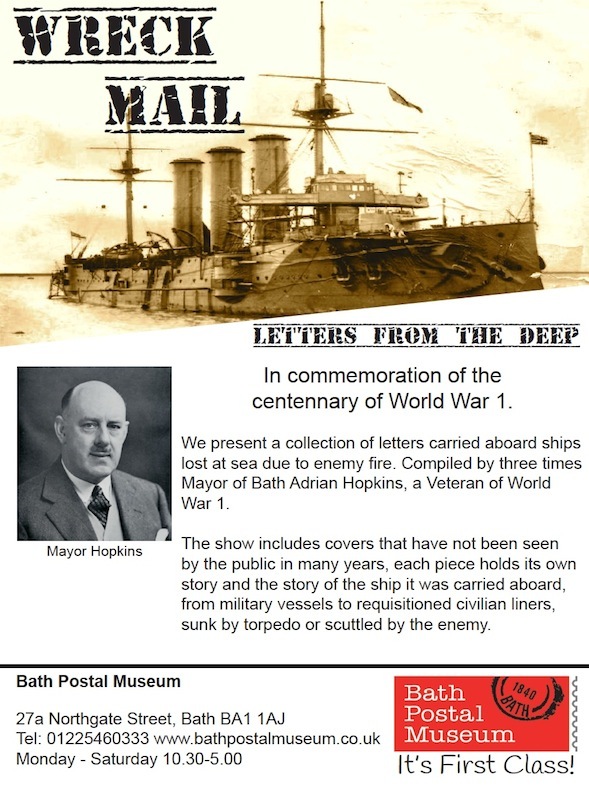 This is the third WW1 exhibition to be displayed by Bath Postal Museum. It is entitled "Letters from the Deep" because the letters were recovered from WW1 wrecks. They have been selected from Major Adrian Hopkins notable Wreck Cover collection.